With the New Year approaching, many of us are thinking about making New Year’s resolutions. What are some of things you are going to resolve to do in the coming year? Maybe get fit, eat healthier foods, volunteer, or save some money. These are all popular resolutions according to USA.gov’s Popular New Year’s Resolutions. This year, I plan on making a resolution that is slightly different… I am going to resolve to uphold the Girl Scout Promise and Law in my everyday life. The Promise and Law can relate to everyday life. For example “to respect myself and others;” if I am respecting myself, I am making healthier life choices, whether eating healthier, exercising, or getting some rest and “me time”. If I am “using my resources wisely” I might be spending my money wisely and saving money for future goals. If I am resolving “to help people at all time” and to “make the world a better place” I could be volunteering. As Girl Scouts, let’s make it our New Year’s resolution to hold ourselves to the Girl Scout Promise and Law. If you follow the Promise and Law in your everyday life… it will be difficult to go wrong. Happy Holidays from Girl Scouts of Nassau County! 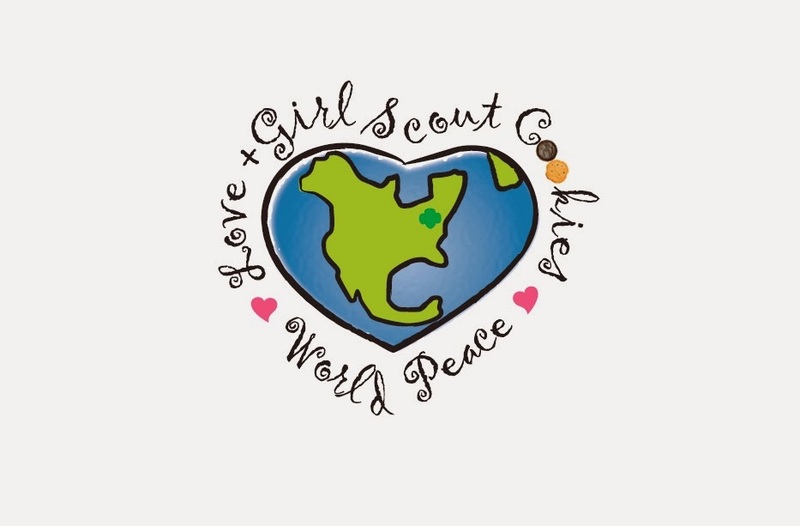 Girl Scouts of Nassau County send best wishes to our Girl Scout family and the community for happy holidays and all good things in 2014. May your families be safe, warm and united! May your tummies be full and your homes filled with laughter and joy! May the Girl Scout Promise and Law continue to be the touchstone in your lives and the ways that you treat other people! Our offices are closed until January 2, when we will return to serve you. Please visit www.gsnc.org for complete closing details. The Christmas to New Year's break from school is filled with excitement for Santa and sharing our own holiday traditions; a change in pace away from school and the opportunity to spend time with family and friends. · Do something for others. Call an elderly neighbor… Put out some seed and/or suet for the birds... Write a letter to friend far away... Let your children offer their input on your family's end of year charitable donations. · Clean out the closet or the toy chest. Donate the things that you no longer want or need to someone who can put them to good use. · Prepare a meal together with the kids and let them choose the food… Breakfast for supper, anyone? · Take a walk in your neighborhood, at the beach or in a local park. Pick-up trash along the way... A Girl Scout always tries to leave a place cleaner than she found it! Frankly, once you get on Pinterest you can probably fill up the rest of the vacation making crafts, trying new recipes and mulling over all the meaningful quotes and pictures of bulldogs and horses. You can follow me (Donna Ceravolo) on Pinterest or check out all of our Girl Scouts of Nassau County Pinterest Boards. Common Sense Media remains a great resource for families to use in evaluating movies, television, books, games and apps for their suitability for children. Enjoy the fleeting days of holiday vacation and childhood! There really is a reason for all those clichés, and the time goes by so fast.